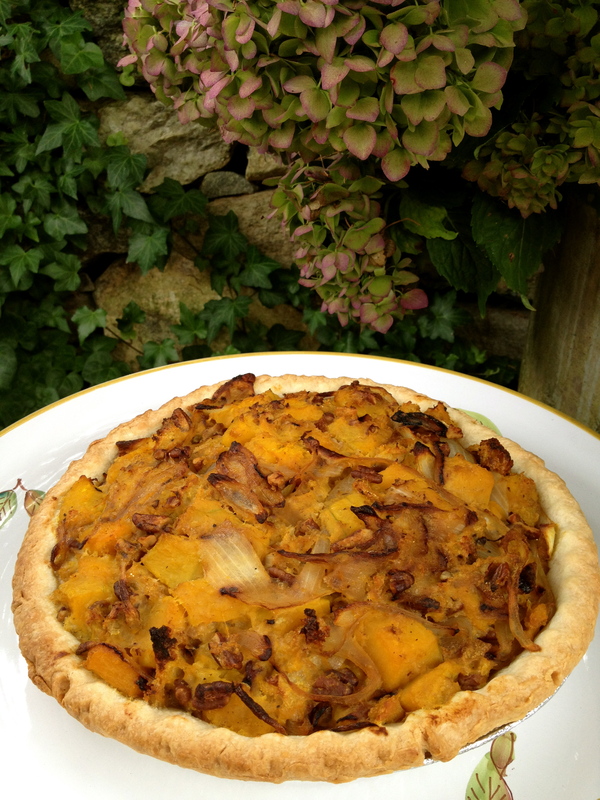 This is a quintessential Autumn dish. It makes for a great, quick lunch served with a simple salad of fresh lettuce from the farm. Prepare a whole pie if you are having friends over for a lazy Sunday afternoon, and keep the leftovers in the fridge for the rest of the week. An added dash of cinnamon and nutmeg compliment the squash, giving it a warm, spicy aroma. 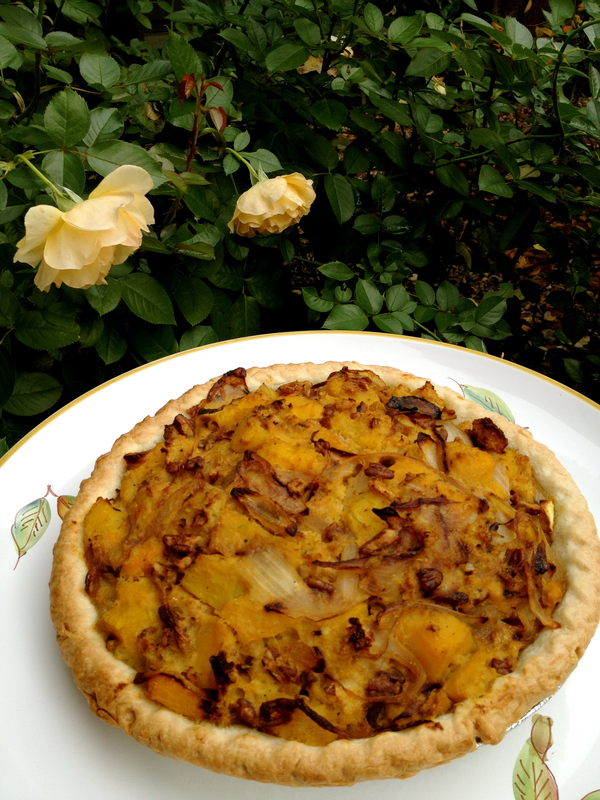 This is my version of comfort food: light but decadent, with beautiful, Autumnal colors. Recipe: Pre-heat oven to 400°F. 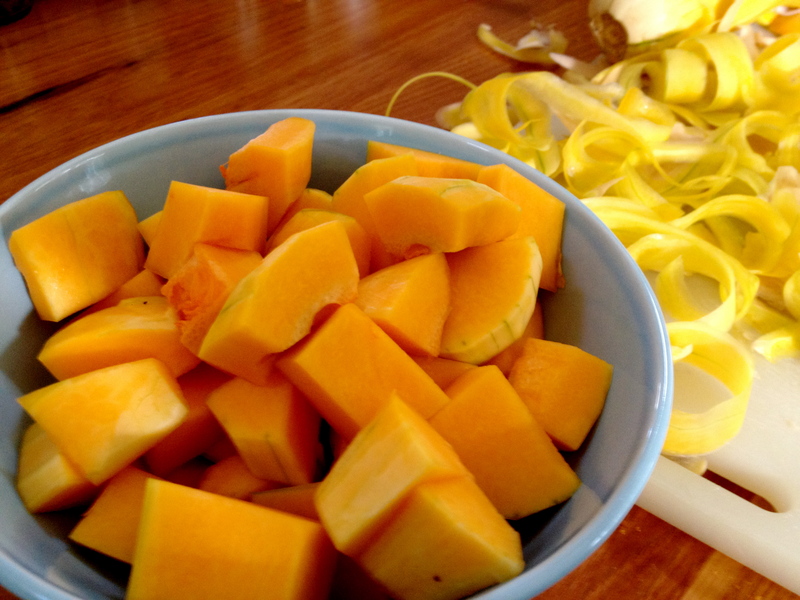 In a large bowl, toss squash with 2 tablespoons olive oil, salt and pepper. 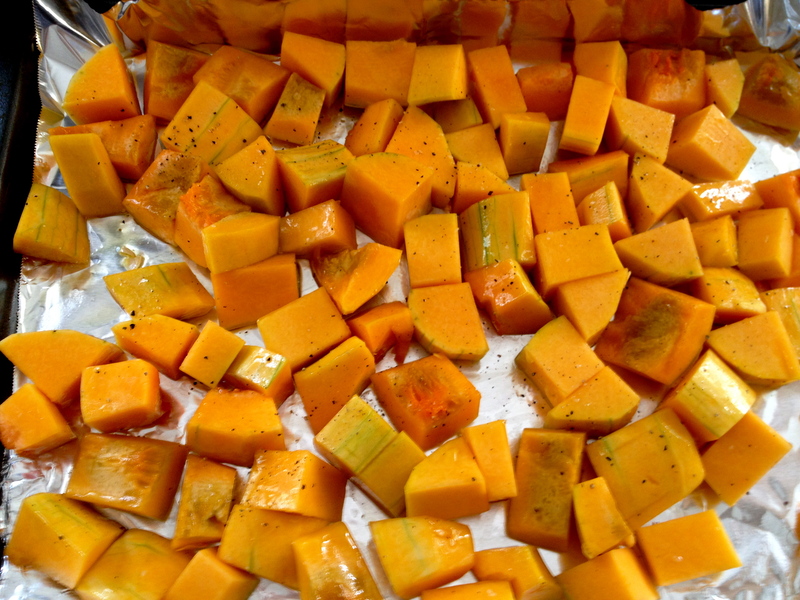 Arrange squash in a single layer on a large baking sheet and roast for 30-35 minutes, until the squash is tender and golden. Meanwhile, heat 1 tablespoon oil in a large skillet over medium high heat. Add onion and cook, stirring often, until tender and caramelized, about 10 minutes. Add one tablespoon of dry white wine, if you have it, and stir often as it cooks for about one more minute. Add a dash of nutmeg and cinnamon for extra flavor. Combine the onions and squash in a large bowl. Add the Parmigiano, pecans, egg, bread crumbs, salt and pepper, and a dash more nutmeg. Mix gently to combine. Pour the mixture into the pie crust and bake for about 40 minutes or until the crust is golden brown. Let cool for 10 minutes before serving. Cutting your own squash is oddly satisfying. Pre-packaged, pre-cut squash tends to be slimy and not nearly as fresh.